I prefer lip glosses over lipsticks as they are easy to apply when you are in hurry and look glam as well. But as lipsticks last longer than lip glosses, I have to buy them anyway. Since everyone around the blogosphere was raving about Inglot Freedom System Lipstick, I thought of giving it a try. I got shade #13 for me. 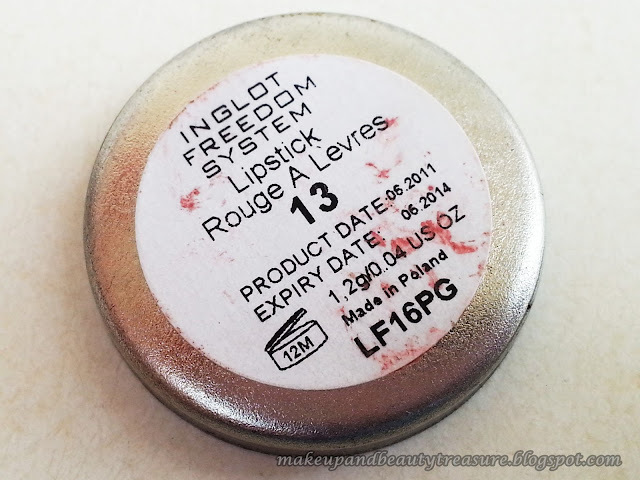 Today I am going to discuss my experience with Inglot Freedom System Lipstick Refill #13. 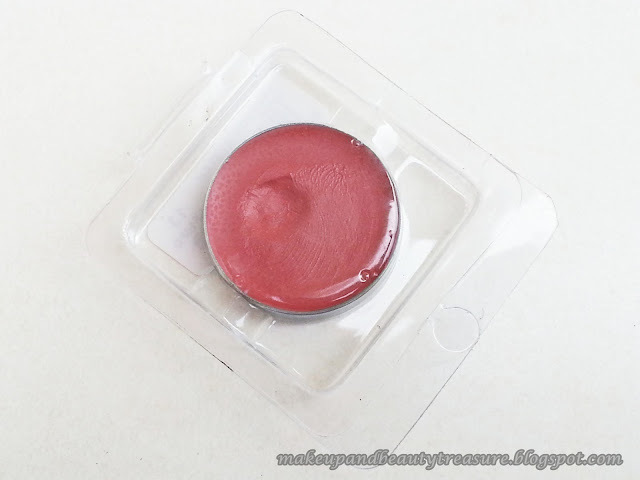 The lipstick comes packaged in a small, see through plastic container. The actual product comes in a small, round metal pan which is quite light. It can be transferred into palettes but I prefer keeping it in the plastic container itself as it occupies less space and can be carried around easily in a makeup bag. The shade number, manufacturing and expiry dates are mentioned at the bottom of the pan. I still wonder why they can’t name their shades. Inglot people should really appoint beauty bloggers for naming their products. :D Well I would have named it 'Natural Paradise'. The texture of the lipstick is soft and creamy. It is easily applied to my lips and doesn’t get patchy. It can be applied using a finger or a lip brush. I prefer using finger as applying with a brush needs lots of patience and time. The lipstick glides effortlessly and evenly across my lips without smudging, feathering or bleeding. It doesn’t feel heavy or greasy on my lips. It is quite moisturizing so I don’t feel the need to use a lip balm underneath my lips. It neither accentuates the fine lines nor highlights dry or chapped lips. My lips feel soft and moisturized after applying the product. The pigmentation is pretty awesome. It gives true color with just two swipes. The staying power is quite good and the color does not fade for a good 6-7 hours with eating or drinking. After that it starts fading evenly with a beautiful tint behind. The lipstick gives smooth, creamy and slightly matte finish to my lips. It is easily removed with a lip makeup remover without drying out my lips. Shade ‘13’ is a gorgeous peachy pink color with a hint of brown in it. It has no shimmers or glitters. It looks MLBB shade on my lips but brownish pink on my arms. I think this shade looks different on various skin tones. It provides medium coverage so if you have heavily pigmented lips then there are chances that it might not hide the pigmentation well. The shade is fantastic for both day and night wear. 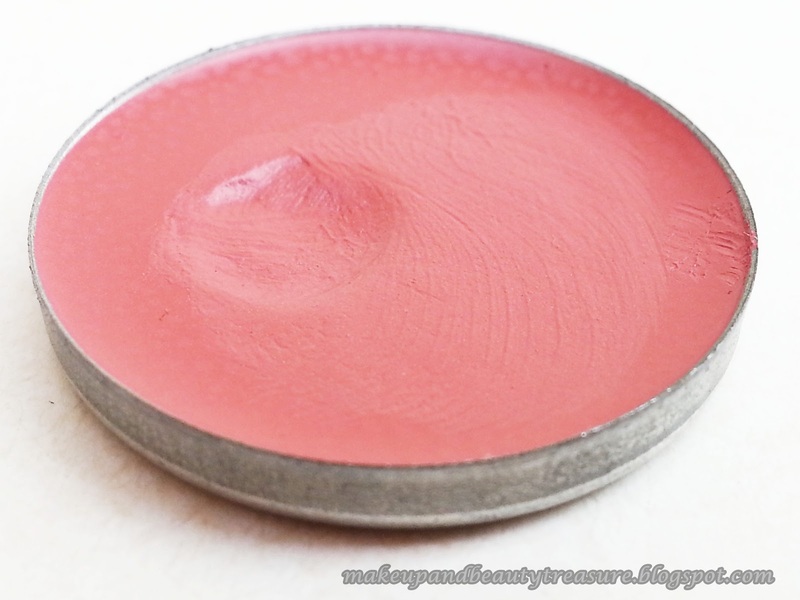 It can be built up and topped with a gloss for night outs or can be blotted for work. The color ranges from red, pinks, coral and neutrals so there is a shade to suit everyone. Looks MLBB shade on my lips! · Glides across the lips evenly. 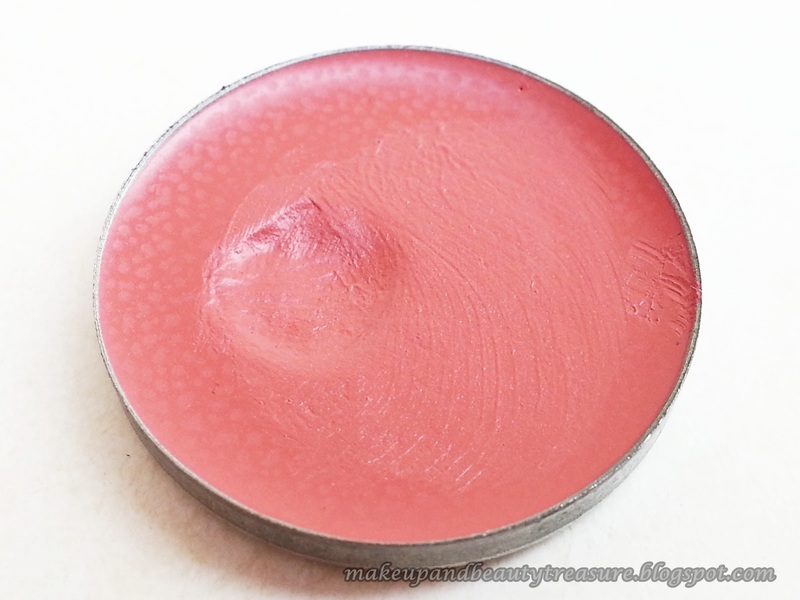 · Feels moisturizing on the lips. · Doesn't dry out the lips at the end of the day. · It has fantastic longevity. · Gives smooth and creamy finish. · The shade #13 provides medium coverage and might not hide pigmentation on heavily pigmented lips. · No list of ingredients mentioned on the packaging. · A lip brush or finger is needed for application. Inglot Freedom System Lipstick comes in a refill pan which in turn is packaged into a plastic container. It has soft, smooth and creamy texture. It glides evenly and effortlessly on my lips without being patchy. It is quite moisturizing and makes my lips soft and hydrated. The pigmentation is good and gives true color in just two swipes. The shade varies as per skin tone. 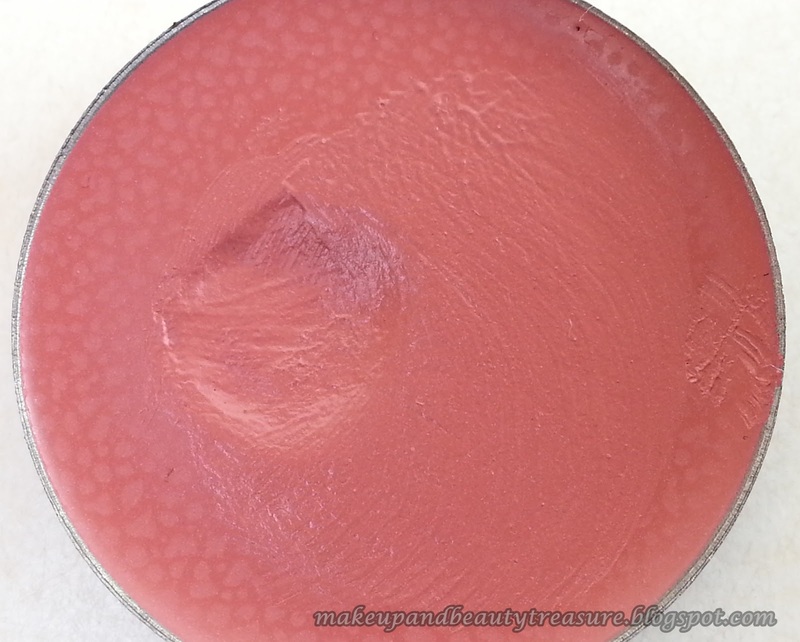 Shade #13 is a peachy pink color with brown undertones. It looks MLBB shade on my lips. The staying power is pretty awesome. It stays put on my lips for about 6-7 hours without drying my lips. I shall highly recommend it to everyone. It is definitely worth every penny! Have you tried Inglot Freedom System Lipstick? Which is your favorite shade? Share in the comments section below! Hey .. nice review. Have seen lipstick in this form. So a nice introduction. Definitely worth a try since I am also not a lipstick person. Nice review :) The lipstick looks great on you!